An Indian-origin researcher in the US has won a grant of USD 150,000 to study a gene mutation linked to a type of deadly skin cancer which has no effective treatment till date. Skin cancer is the most common of all cancers, and while melanoma is one of the least common types, representing only about 2 per cent of skin cancer cases, it is one of the most deadly. Some forms of melanoma have no targeted therapy at all. About 20 per cent of melanomas have a mutated gene called NRAS. 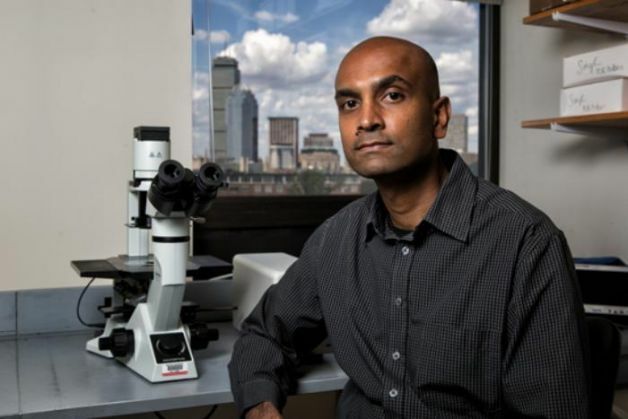 Anurag Singh, assistant professor at Boston University in US is tackling this poorly understood melanoma by studying how NRAS transforms healthy, normal skin cells into aggressive cancerous cells. The work has been funded by a three-year, USD 150,000 grant from the Melanoma Research Alliance. Singh's lab studies how two forms of the RAS gene, NRAS and KRAS, interact and cooperate with other genes to form gene networks, analogous to computer circuits. RAS genes belong to a family of molecules called G proteins, which are important for much signalling within human cells. There are about 200 G proteins of various shapes and sizes, but they all have one thing in common - they can become activated and then, after some period of time, automatically turn themselves off. Mutant forms of RAS can turn on, but they cant turn off. The mutant RAS is always on, always signalling, even when other signals order it to cease and desist. This nonstop signalling can lead to different effects - sometimes it makes a cell multiply uncontrollably, sometimes it prevents a cancer cell from self-destructing. This makes the mutant forms of RAS common in cancer. "The RAS mutation itself is not sufficient to cause a full-blown tumour," said Singh. "It creates a vulnerable state that can progress to a malignant state," he said. "We have identified two major types of NRAS networks in melanoma," he said. "We hypothesise that these subtypes can be treated with selective targeted anticancer agents or precision medicines. We hope to pinpoint vulnerabilities that can be blocked with chemotherapy," he said.